4.5 Million Sq. ft. of land throughout our 13 locations. 2 RHS and Tube Mills up to 6” x 4”. 45 forklifts with 16 ton capacity. 57 traveling overhead cranes of up to 40-ton. capacity. 4 Cut to length lines. 1 Edging line for flat bars up to 3/16 “x 10″. 1 Oxy-Fuel Burning Table of up to 6″. 1 Plasma Cut Line of up to 2”. 1 Laser Cut Line of up to 1”. 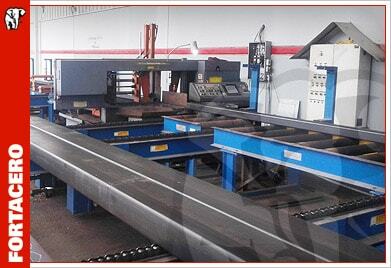 2 high precision band-saw cutting lines for all types of solid and hollow sections.